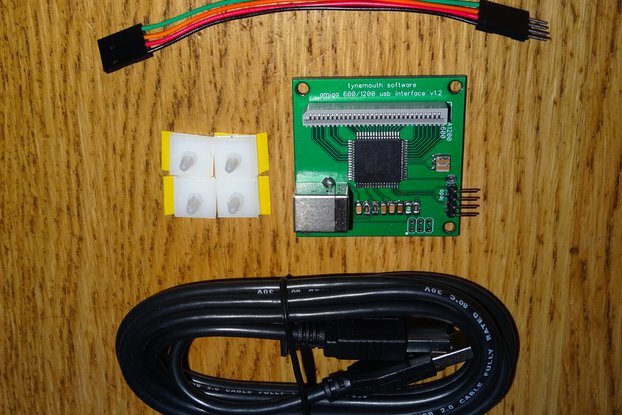 Do you want a conversion kit (as parts or assembled), or a complete built and tested unit? Which version of the keyboard overlay? 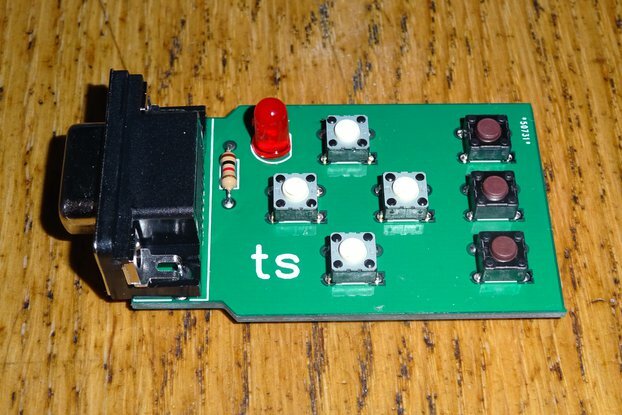 PCBs are available with green or blue solder mask. This is a clone of the 1980s Sinclair ZX80 Computer, the predecessor of the ZX81 and ZX Spectrum computers. 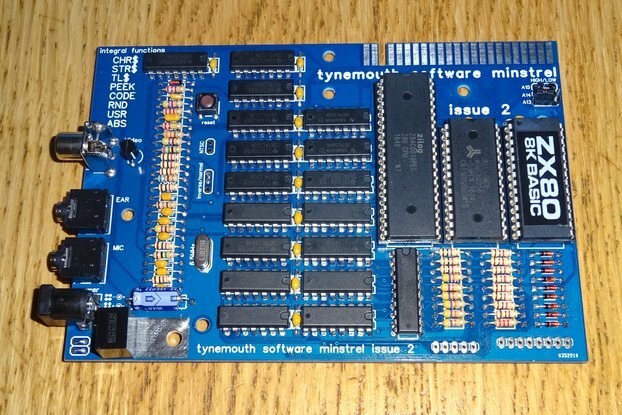 This is based upon my Minstrel ZX80 Clone boards, which use real hardware (not FGPA or emulation) faithful to the original design. The only change is the addition of an few extra logic gates to improve the video output for modern TVs and Monitors. 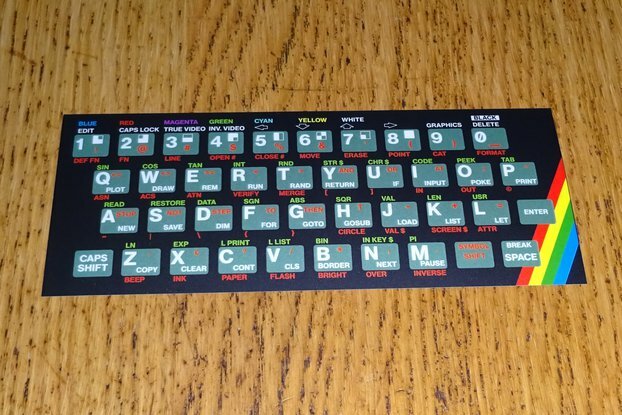 The board is mounted on a clear perspex base plate with a blank ZX81 style membrane keyboard with a ZX80 style overlay. 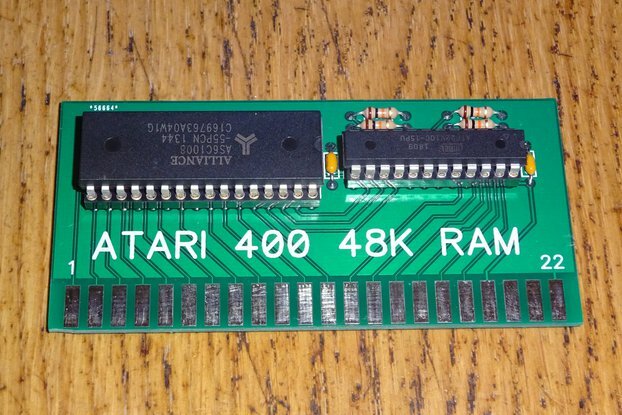 This version comes with either the original 4K BASIC ROM or the upgraded 8K BASIC ROM, and has 16K of RAM built in (no need for a RAM pack). 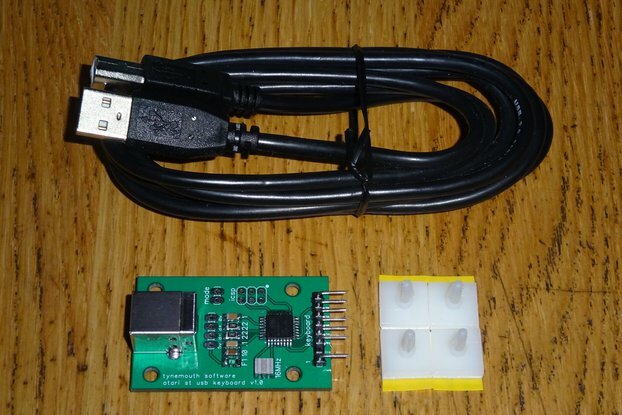 Power is via a 9V DC adapter (available as an option). The TV output is via composite video. 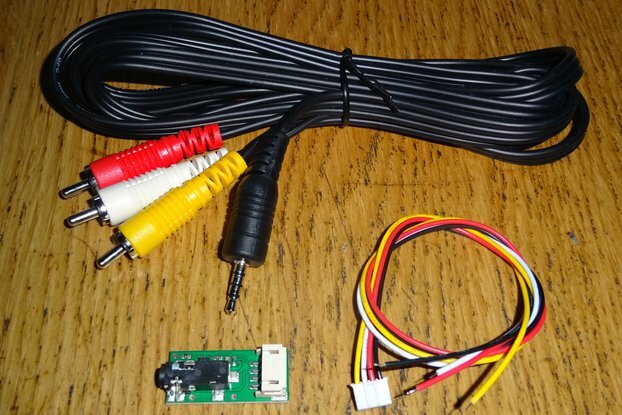 The power supply and cable option also includes a cable to connect a computer or cassette recorder to load or save programs. 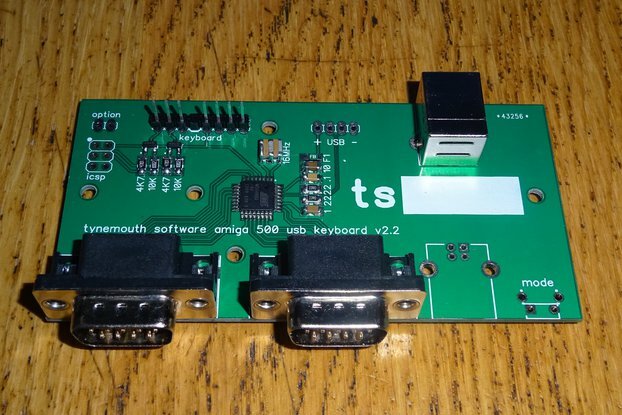 To recreate a faithful ZX80 clone, but with the ability to view on a modern TV set. 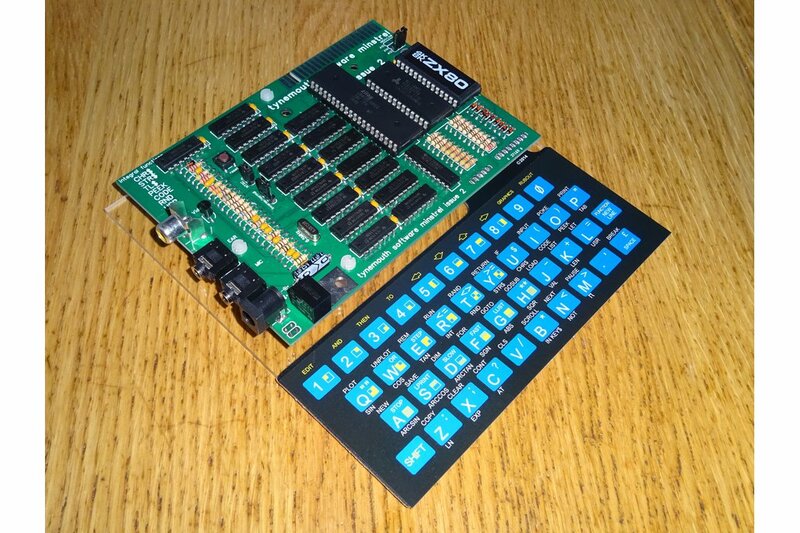 This includes a PCB and parts, a ZX81 membrane and ZX80 style overlays and a pre-drilled baseplate and mountings. As above, but assembled and tested, ready to plug in and go. 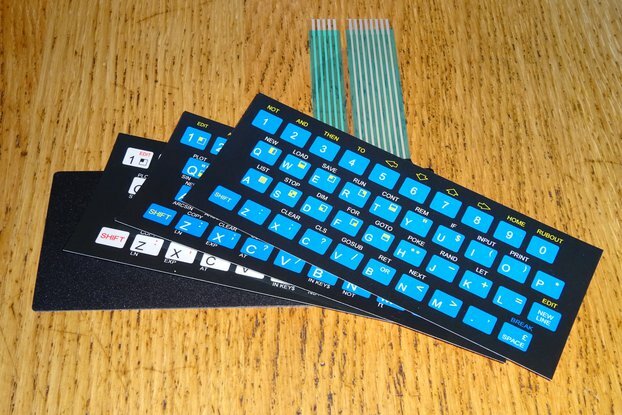 The original ZX80 came with a 4K BASIC ROM and keyboard with blue keys. When the ZX81 was launched, Sinclair offered an upgrade for the ZX80 with an 8K BASIC ROM and a ZX81 style keyboard with grey keys. 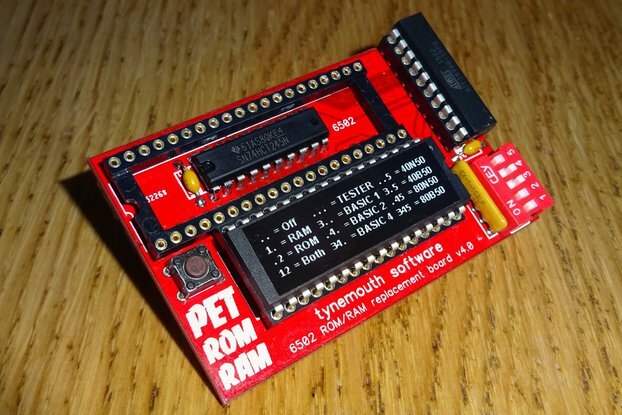 This version of BASIC is more powerful and is partly compatible with the ZX81. The keywords on each key are different so you need to have the right keyboard to match the version of BASIC. I have produced overlays in the style of the ZX80 for both the 4K and 8K BASIC. The PCB is available in blue or green. Green seems to suit it better, but it's your choice.